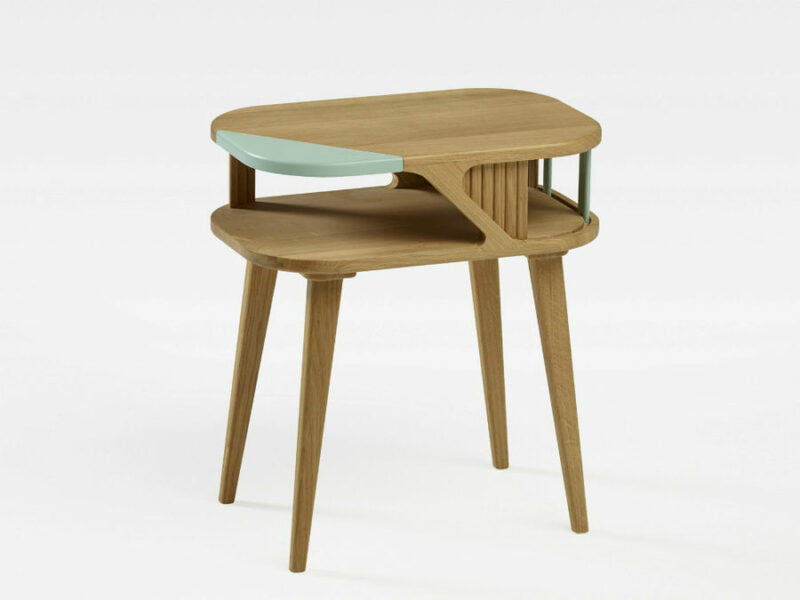 Kids room furniture designs have never been more playful than they are today. 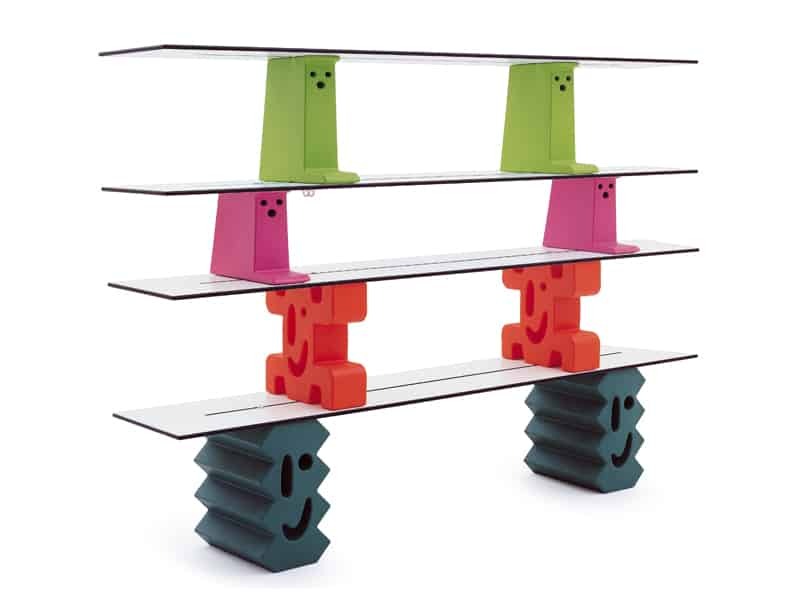 Taking amusing shapes and hues, the contemporary furnishings for kids are a pleasure to decorate with and watch. 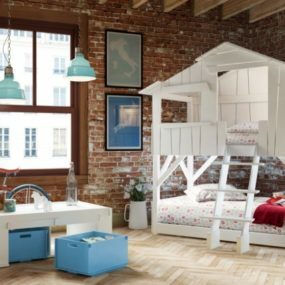 The best thing about kids room furniture is that you can buy it in ready compositions, so you don’t have to scratch your head too much about color scheme or layout. Just pick a combo that suits your room measurements. 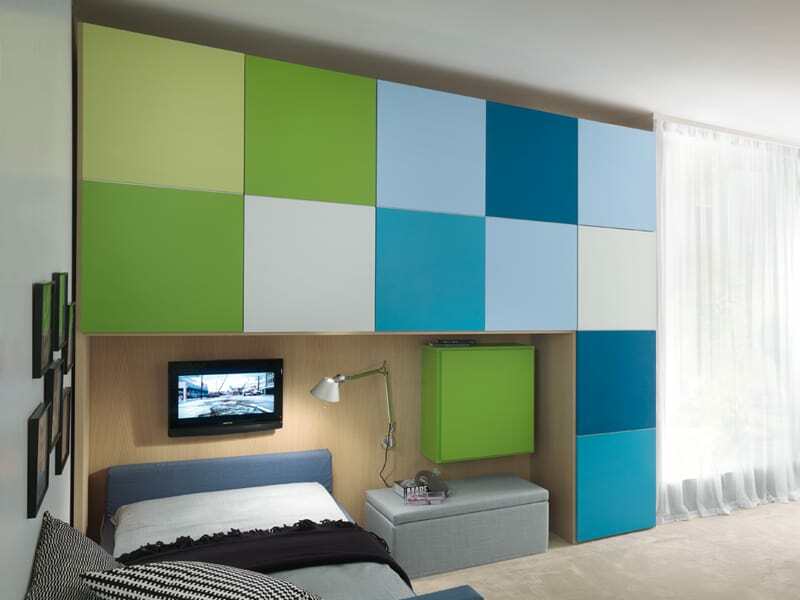 Moretti Compact offers KC 209 composition for a stylish teen room. Soft purple and eggshell white create a sophisticated feminine look that you can easily brighten up with some green and turquoise. The room has it all from a single bed with upholstered headboard to cool irregular bookshelves and a built-in desk. 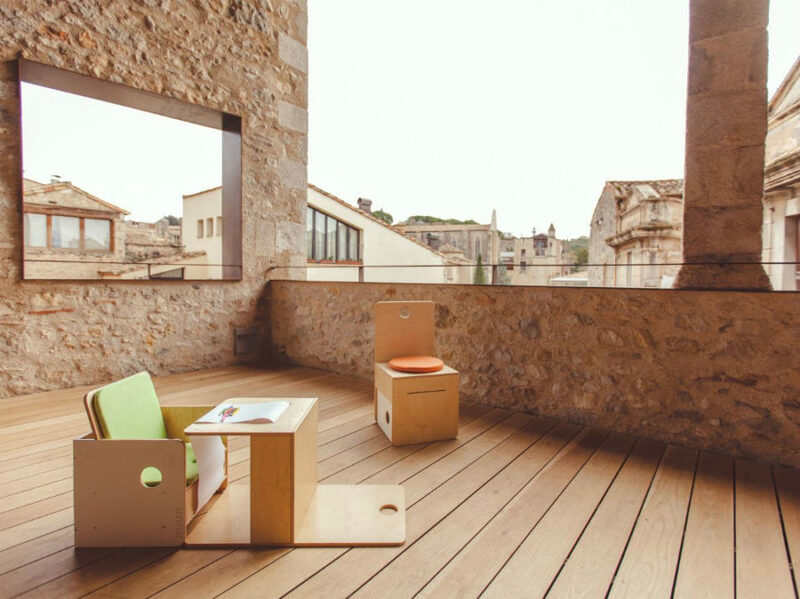 Now!Minimo is part of the Now collection for kids by Hülsta. 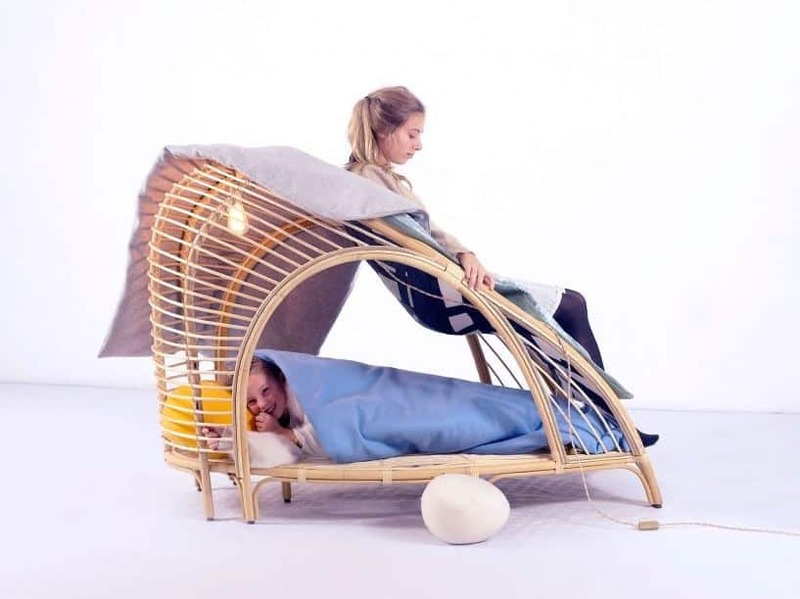 Playful fairy tale-like furnishings are meant to stimulate kids’ imagination. Although minimal, Now composition has everything a new parent might require in a nursery from a crib to a diaper-changing station. A more grown up teen might just appreciate stylish neutrals in this Tiramolla composition. But there is yet more to consider cool. 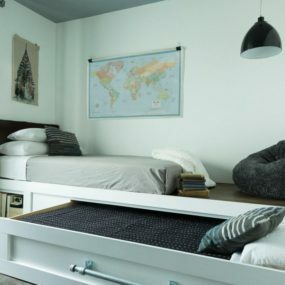 A loft bed, for example, is a stylish alternative to a bunk in a shared room. 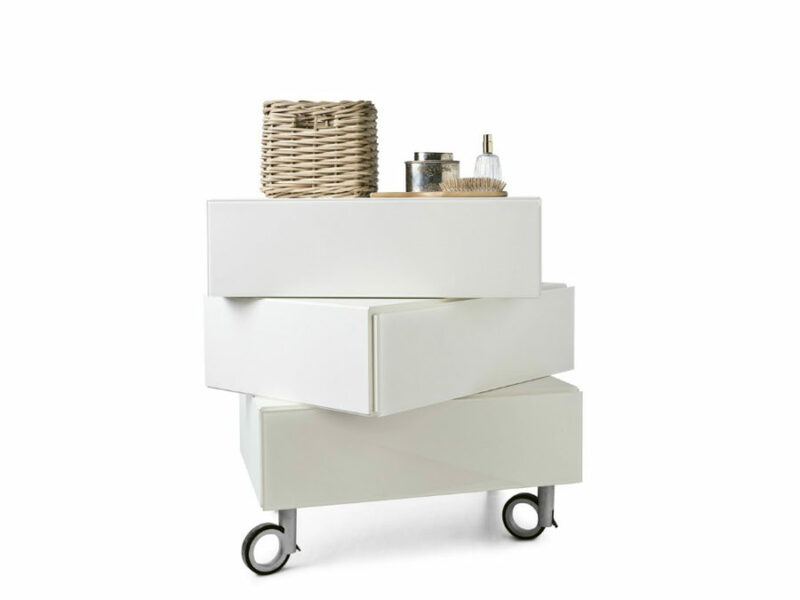 A separate mobile chest of drawers is a perfectly recyclable addition to the desk. When it comes to beds, there are no more creative and playful ideas than those you can find among kids room furniture designs. 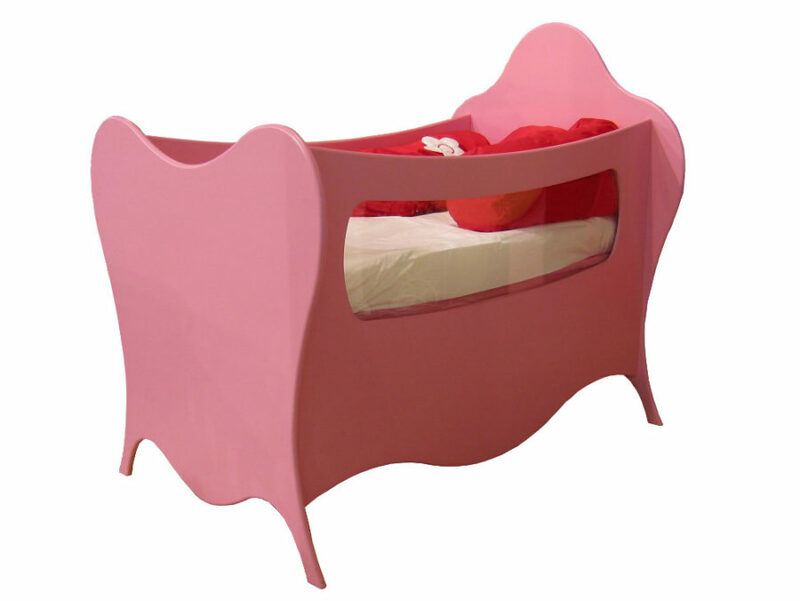 Lago is the manufacturer to consider when you’re shopping for a kids bed, be it a crib or a single bed for a teen room. What can be cooler than a levitating bed? It may not be good for hiding secrets, but it surely looks super stylish. Soft upholstered side and back set the tone for the room design, and we love what Lago did with the showroom painting its different zones into contrasting hues. 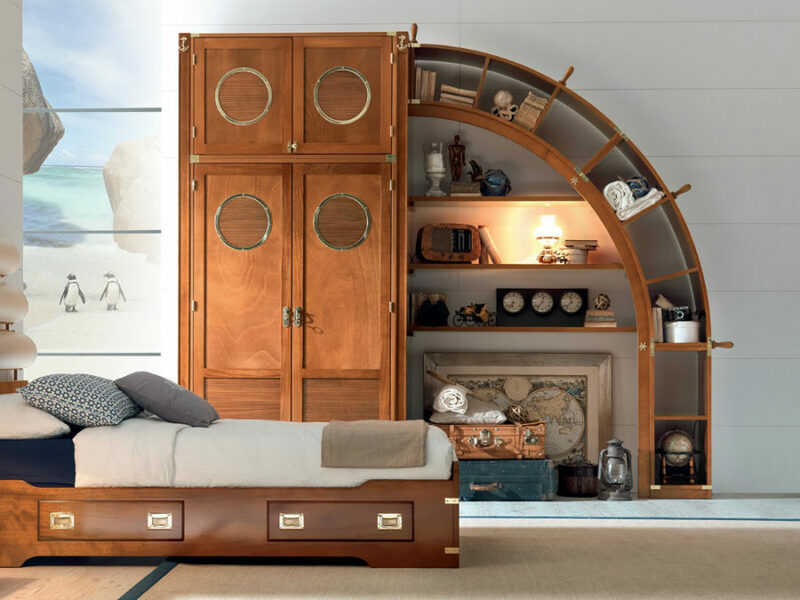 Caroti, who specialize in marine-themed furnishings, offer kids to sail on their Ariel bed into the dream land. Femininely sweet and plenty decorative, this is the bed for the ultimate teen room. 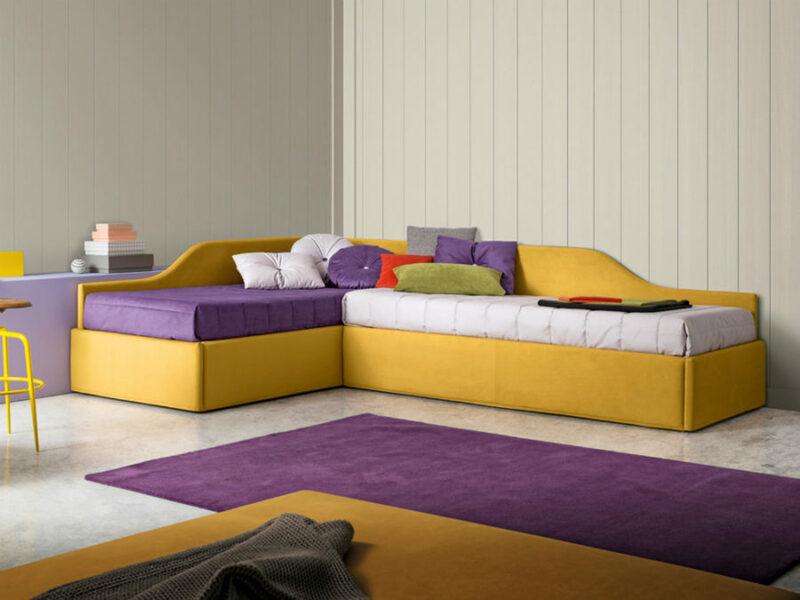 A separate playroom is not always a possibility, so if you want to save some space for the kids to play around, a smart bed might be helpful. 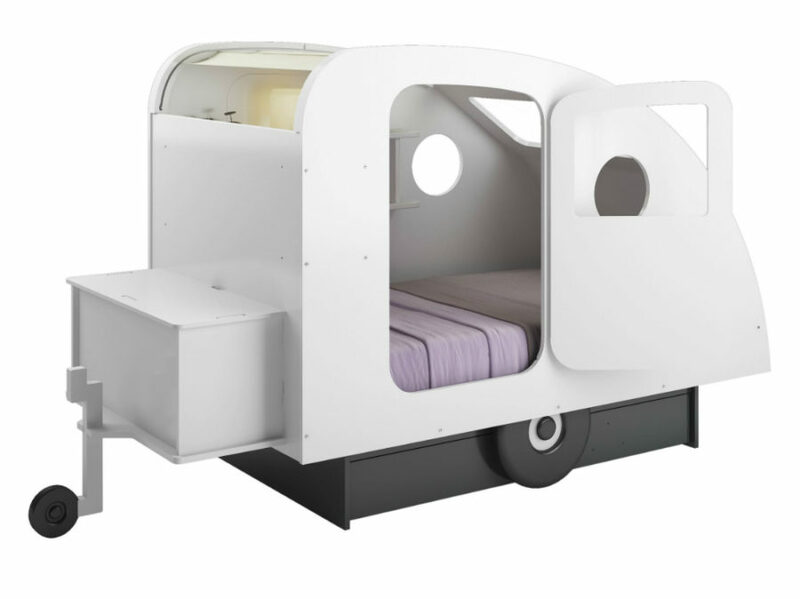 Erik is not only a colorful addition to the kids room, it also brings storage space and a convenient corner layout. When kids are tired of play and it’s time to go night-night, a nightstand can be a handy furnishing to have around. You can use it to easily part the child with their toy before bed, if necessary, or store night tales and picture books in there. Latitude may be less storage-friendly, but it’s playful enough to fit into any kids room. It is a perfect night lamp stand and a place to keep a glass of water. Bookshelves are indisputably more suitable for storing books and toys. Here is a fun exhibit that would add lots of color to your kids room. Shelving is a great way to teach your kids to maintain better order in the room, as it’s not disguising anything, so every item should take its place. Another tasteful addition from Caroti is a glass bookshelf that is definitely teen room material. Elegant and all-around feminine, it has to have some photographs, candles, and decorative display objects. We love the white marine-themed decor accents here. 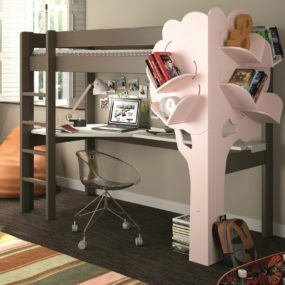 Not all kids room furniture designs should be fully functional. 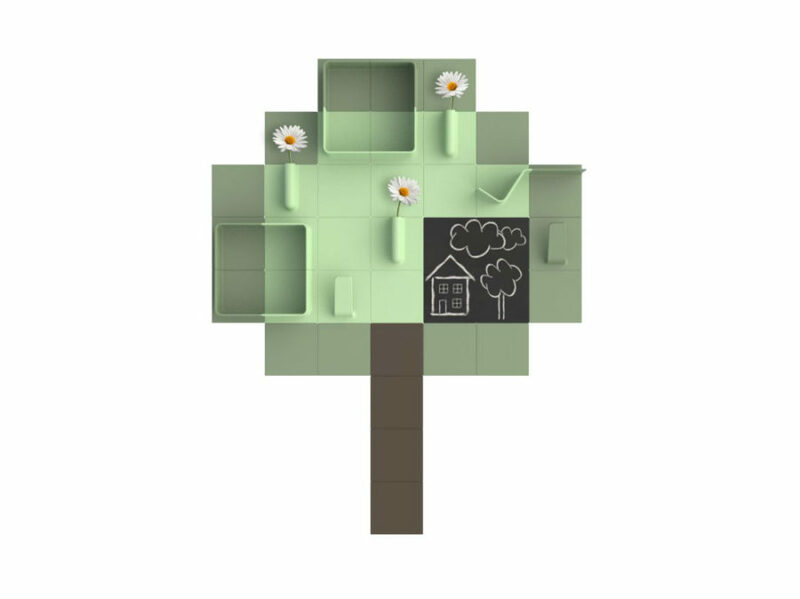 Here is a decorative Forest S bookshelf that will bring a playful feel to your kids room with its tree shape and a chalkboard. Aside from being very space-conscious, transforming furniture can seem very amusing to kids. There is still some magic to it for them. 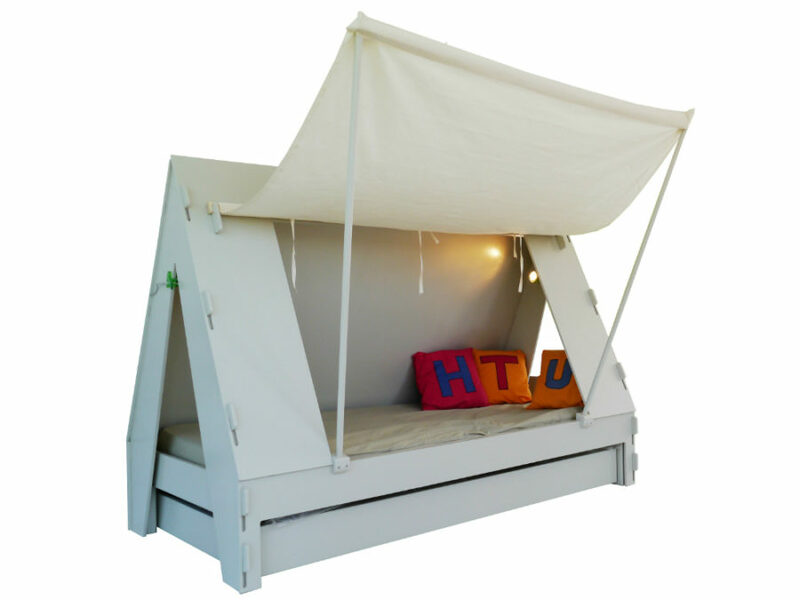 Lollisoft In is a double bed that folds out come nighttime and neatly folds away when the morning arrives. 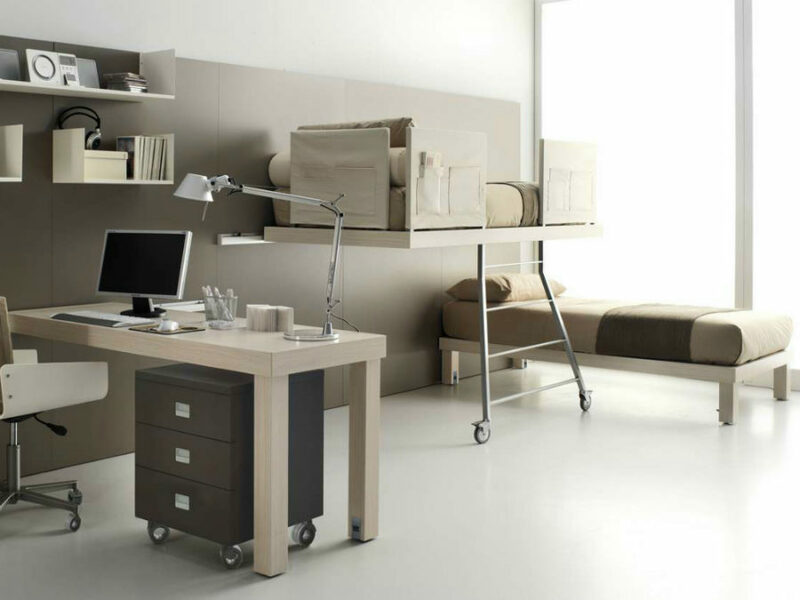 Dotto works by the same principle, but it is a single bed, and while Lollisoft In has an upper storage cabinet, Dotto comes with a cool fold out desk. Interestingly enough, the desk also works as bed support and may not require too much cleaning up before transformation takes place. Smarin went a different way about creating a multipurpose bed. It’s not a transformer, but it’s in no way less interesting in how it works. Accommodating two kids at a time, L’emmitoufloir bed doubles as a chair for either of the kids. Toddlers don’t really care for cribs as long as they are dry, fed, and rocked, but until they are old enough to choose their own beds it can be fun to do it for them. Here is an unusual example from Kenneth Cobonpue that will make you delighted every time you look at it. Or take Luna, for example. What a gorgeous and classy sleeping place for a new baby princess. You may order it with your baby’s name engraved on its side. How cool is that? 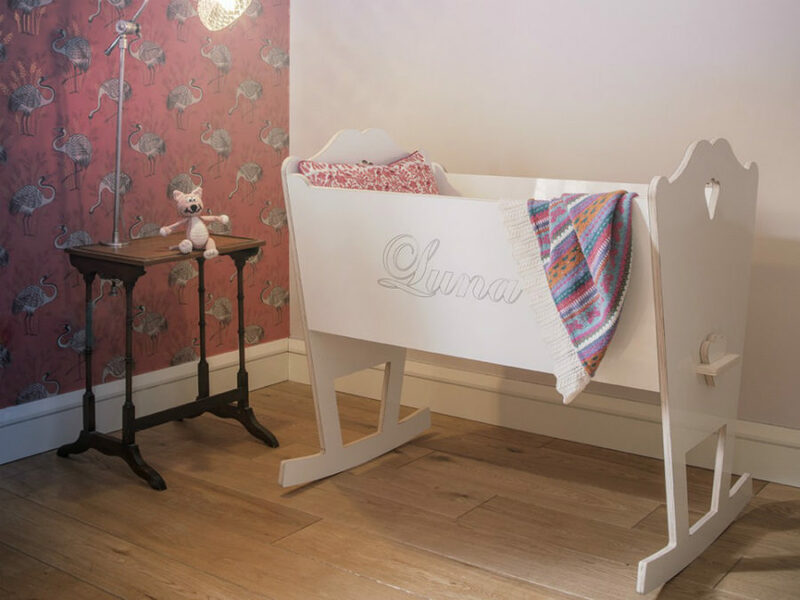 As if coming from the pages of a fairy tale or a play dollhouse, Volute crib is meant to give your nursery that magical look and feel. You can’t have enough storage space for kids. There’re always new toys, books, and things to keep from cluttering the rest of the house. 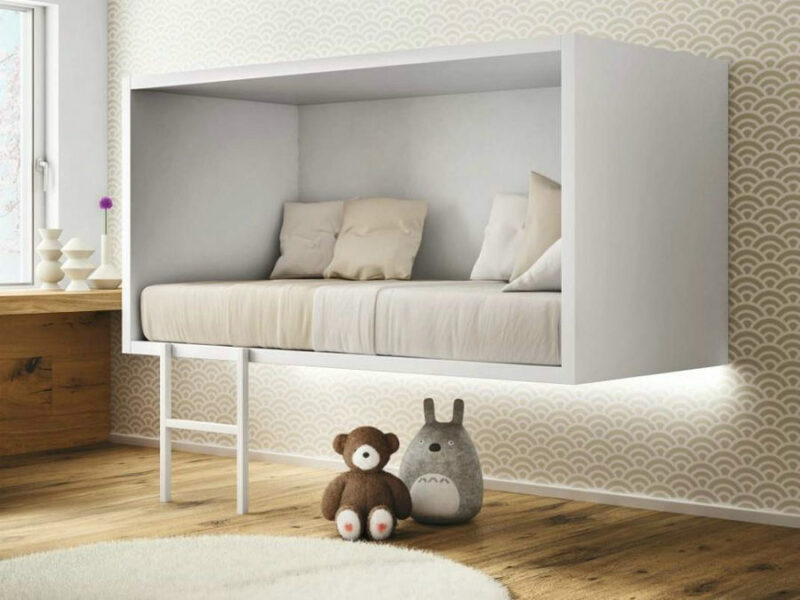 One unified storage unit may be a great idea for the small kids room. Since they don’t have too many clothes or books yet, smaller drawers can accommodate it all, while the colorful palette brings lots of energy to the room. Built-ins are good for any room, including kids bedroom. 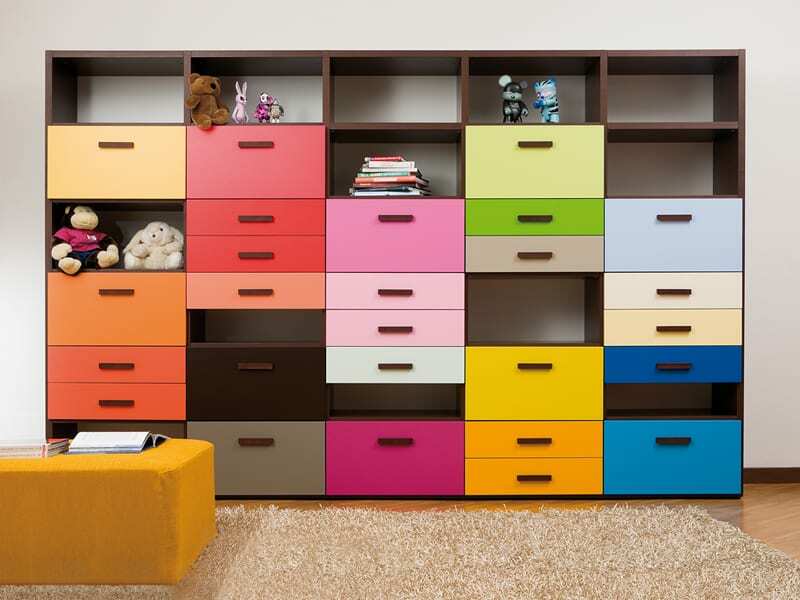 Here is a colorful wardrobe from dearkids that allows for a more categorized storage. There is also a lot more space in the cabinets than thin drawers. With a storage like this, your kids room should always look spotless. 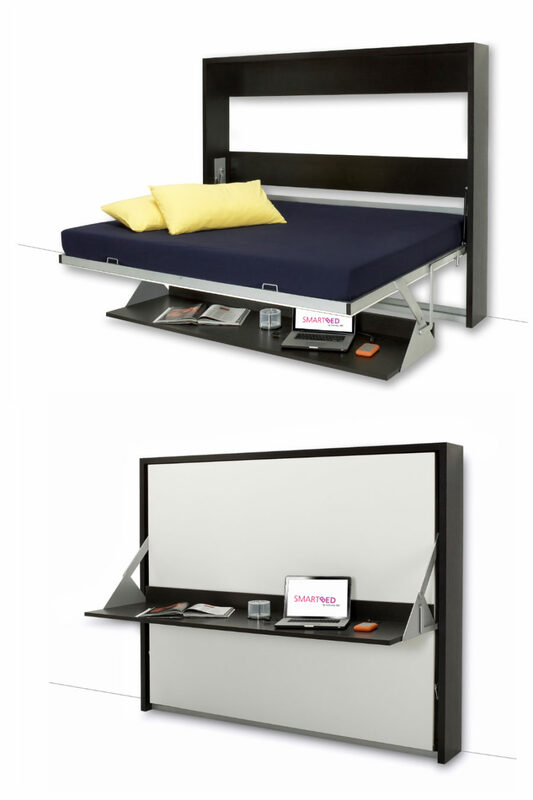 Another great idea that students seem to have borrowed from kids rooms is a high bed with plenty of storage space under it. Dearkids made sure it was neat and organized with shelves. And it also features two sliding doors to keep trasures well hidden. A wardrobe may not be your top priority when it comes to decorating a kids room, as any other multifunctional storage unit can hold anything including clothes. But you may be missing out on some pretty sweet creative designs like this marine Play wardrobe from Caroti. 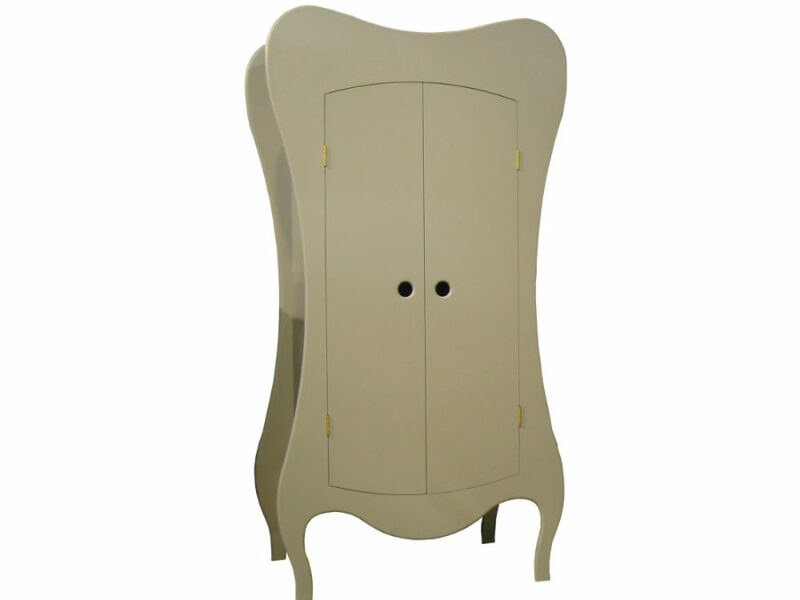 A tooth-shaped Volute wardrobe is a nice departure from strict rectangular lines. It’s fun and cool, and would probably make for a nice fairy tale character. Decorating with Volute may be easier than you think, as it’s pretty minimalist in style. 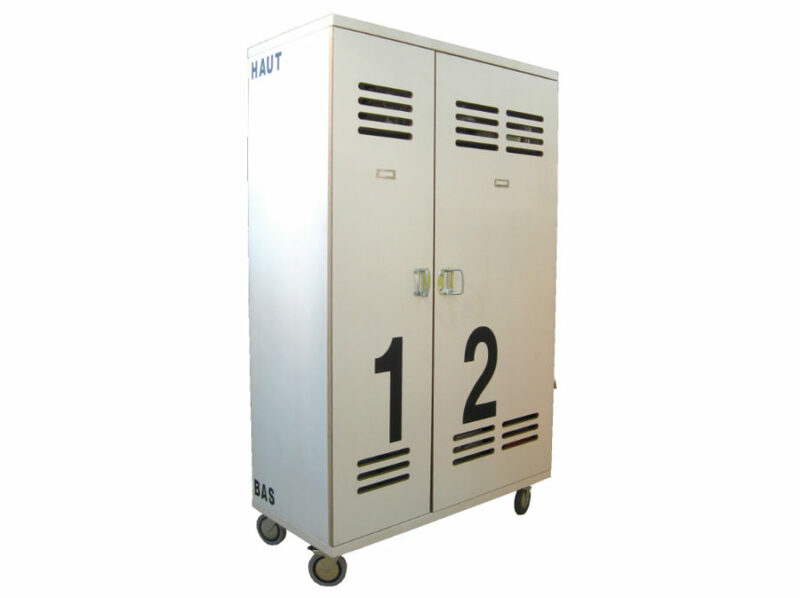 A mobile wardrobe may not sound like the best idea, but it may be quite useful. Think about it, kids are growing fast, constantly evolving, and their room changes at least a few times before they leave for college. Kids room furniture designs aren’t known to be versatile, but you can use and reuse this school-style locker wardrobe time and again as you kid grows older. You can even repurpose it later as a hallway closet. Sixkid is a perfect versatile composition that will watch your kid grow from a cute baby to a serious teen. There’s everything you need to keep a room organized, and toys will one day get replaced with some flashy clothes. 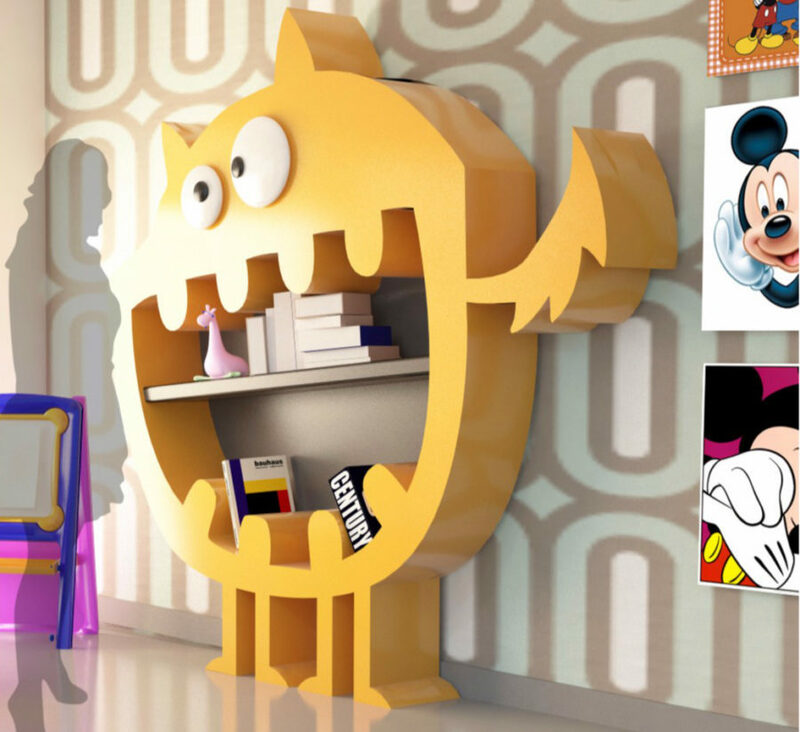 Kids room furniture designs often take shapes of some characters or something other than what they are supposed to be. 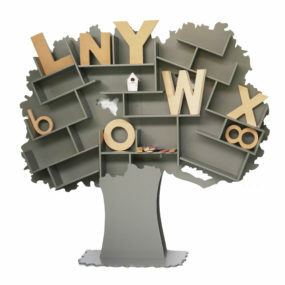 Here is a Hardy monster bookshelf by Zad Italy that can bring a lot of joy to a lot of kids. Sure, it may have four legs, but its teeth ain’t sharp and can hold quite a few interesting books. Jules is a more of a tween-friendly bookshelf that may not hold a lot of books but can bring a substantial decorative element to any interior. 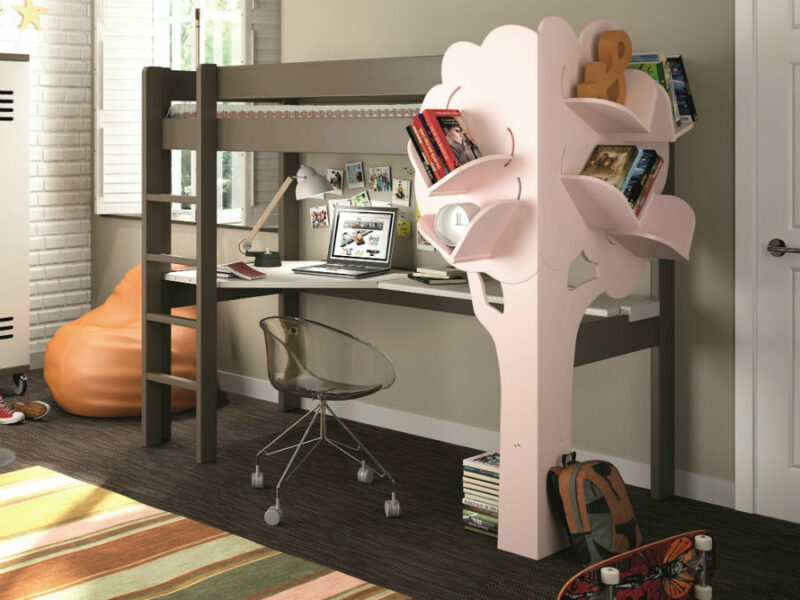 Tente bed seems like a logical addition to the kids room with tree-shaped bookshelves. Mathy by Bols is making sure every night feels like a camping adventure. Think you gonna have any problems putting kids to sleep in these beds? 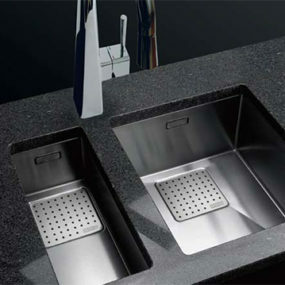 Check out Caravane again from Mathy. This time it takes your child on an adventure in a mobile home. What can be more interesting? 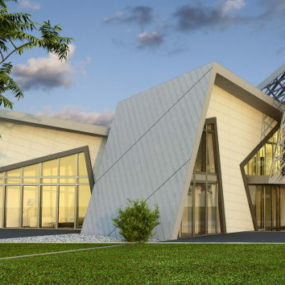 When it’s time for learning, you want the area to be as efficient as possible. 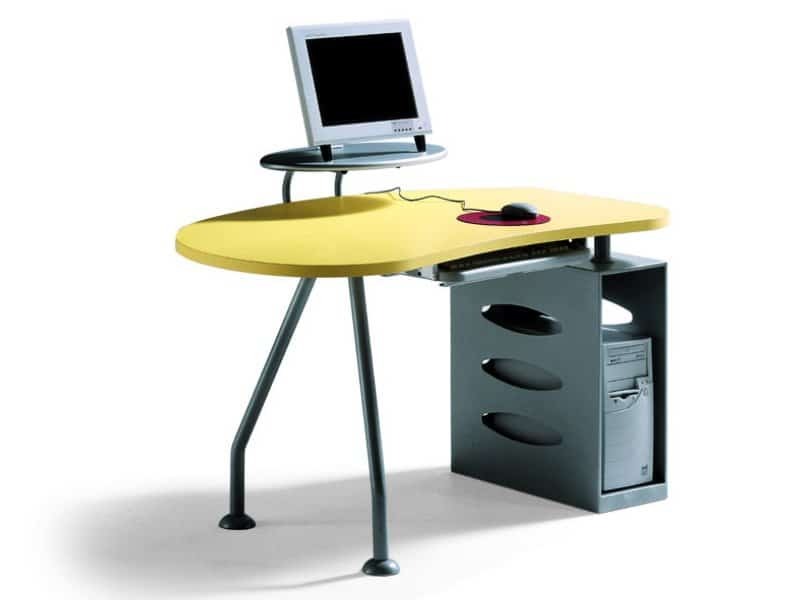 Since everything seems to be computerized these days, a cool computer desk may be in order. Galaxy allows some surface area for drawing and writing, but every part of the machine has its own place allowing little distractions on the desk. Boog looks like a futuristic dream, but it’s not all aesthetics. 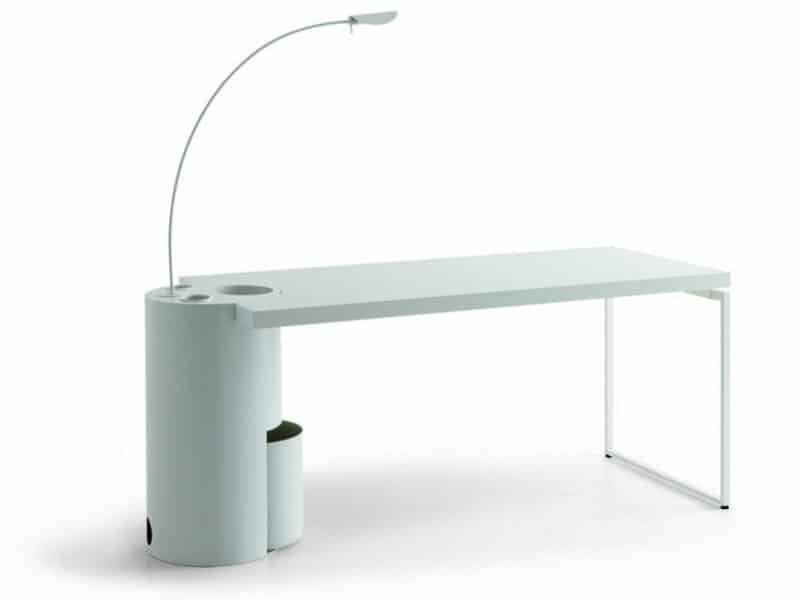 There is a waste-paper bin, pen holder, paper clip holder, and lamp completing the desk. Moreover, it may come in a double variation, thin curving desk lamp appearing as alien antennas. 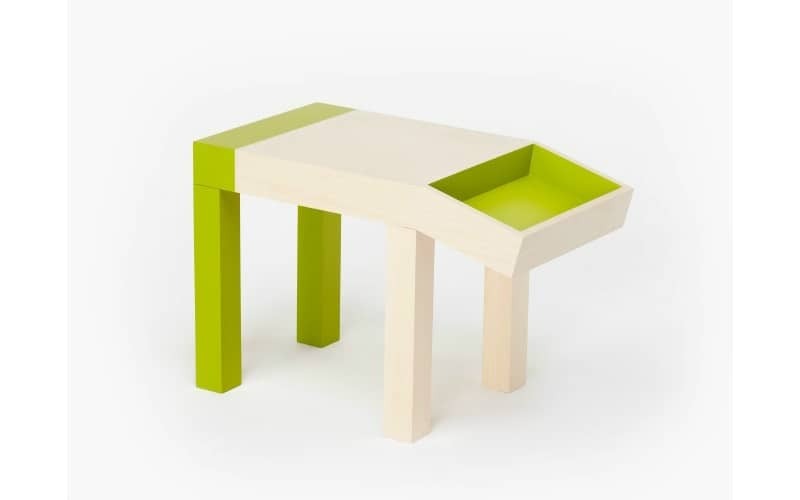 Animal is a fun little desk for small kids who like to draw a lot. Coming in a variety of colors, this wooden guy offers some nominal storage space at an angled end. 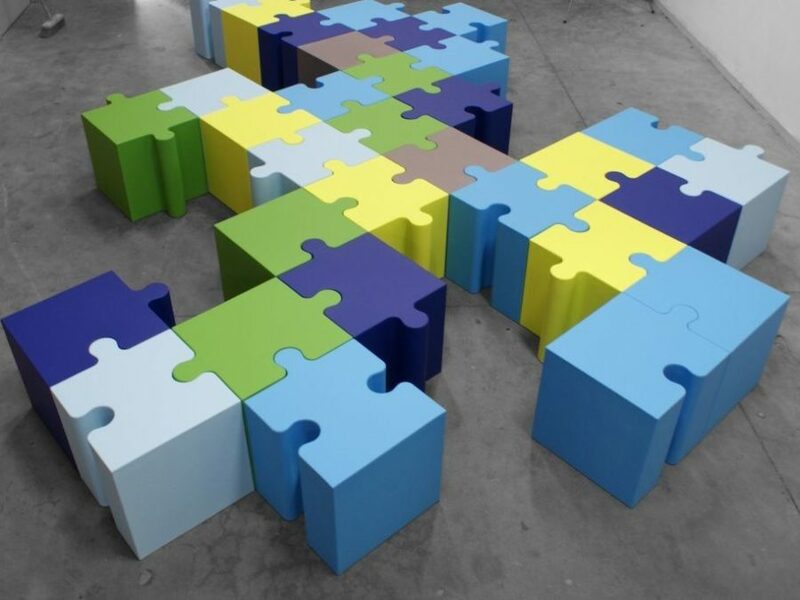 Seats are among the most amusing kids room furniture designs. And Puzzle pouf is here to prove it. Colorful and soft, you’d want to buy it over and over again just to put it all beautifully together. 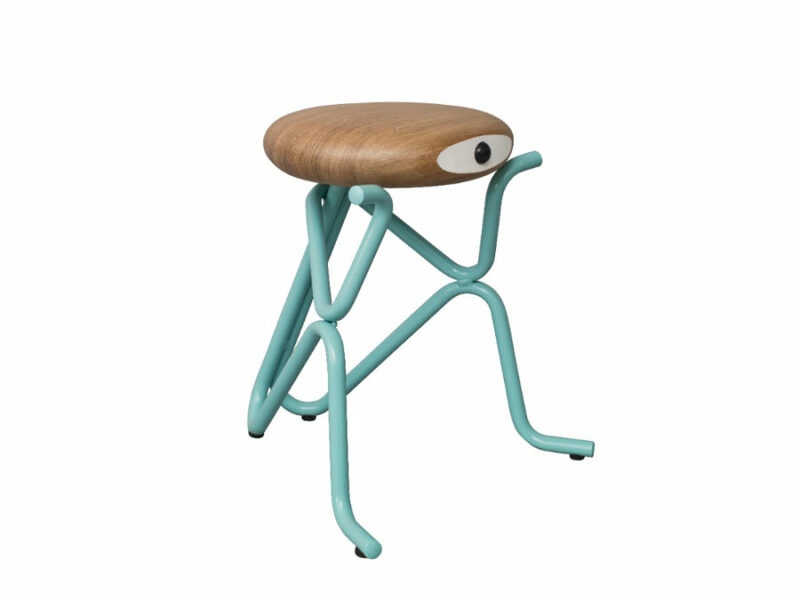 Companion Jr. stool by Phillip Grass FurnitureCompanion Jr. is another friendly alien that is here to help your kid develop strong imagination. This little guy isn’t just playful, though. Stools are generally very versatile. Play chair sells directly what it says. 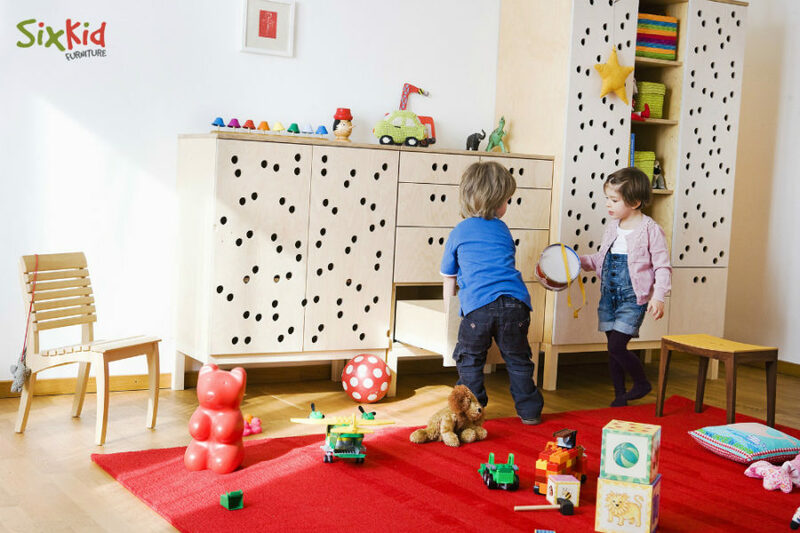 Disassemble and reassemble it in various ways to create a nice play area for your kid. 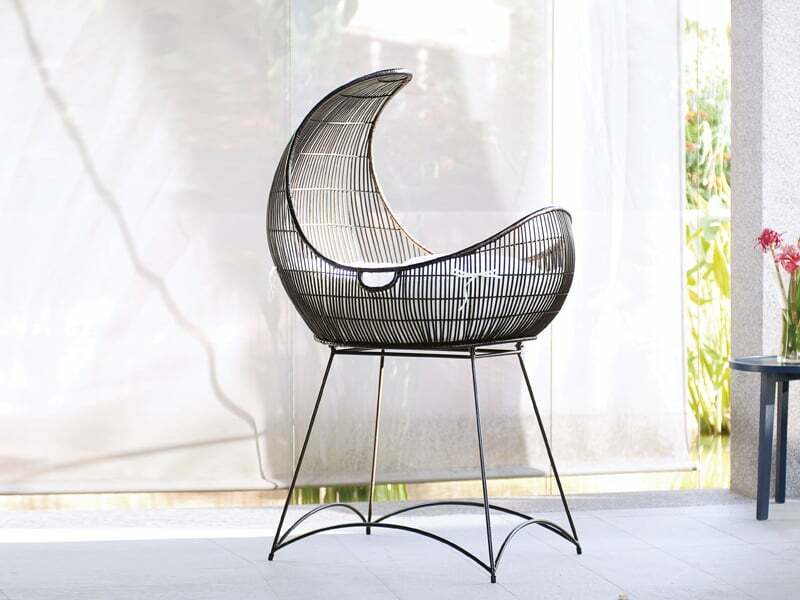 Modern kids room furniture designs are everything you need them to be – playful, stylish, functional. Easy and fun to decorate with.